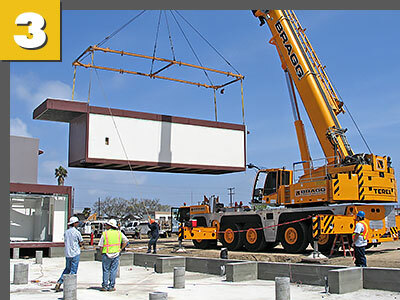 Palomar Modular Buildings manufactures prefabricated modular buildings designed specifically for on campus and off campus student housing buildings, including colleges and universities, boarding schools, and military schools. 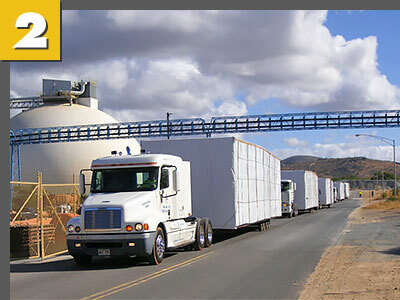 Using modular technology, it is possible to achieve lower costs and a faster completion time. Our student housing construction technology allows us to build multiple unit student housing buildings with parking, atrium and open space environments and well-appointed living areas efficiently. 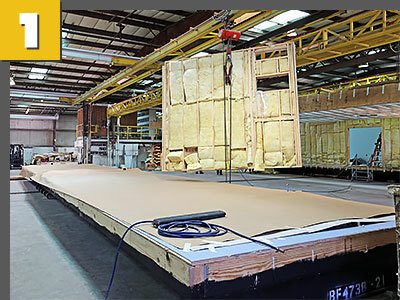 These projects involve a team process, design-build innovation and responsive partners to achieve customer goals for quality, affordability and speed of occupancy. If you are a prospective owner, architect or a student housing development company we welcome your inquiry to learn what we can do to meet your goals.